A REPORT INTO the shooting dead of republican Ronan MacLochlainn by gardaí during the course of a Real IRA attempted robbery in 1998 has found that gardaí used “proportionate and necessary” force. 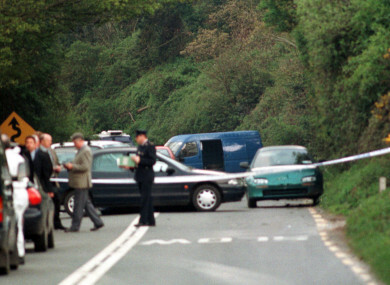 The MacLochlainn Commission of Investigation, which had been hearing evidence for the last four years, was set up to investigate the shooting dead of MacLochlainn by gardaí during an attempted armed robbery of a Securicor van in Ashford, Co Wicklow, in May 1998. Chairperson of the Commission, Mary Rose Gearty, concluded that MacLochlainn had multiple opportunities to surrender but did not do so and chose instead to hijack a civilian car, and point his gun for a third time at an approaching guard. The shooting was justified and his own conduct led directly to his death. Whether confronted by a garda or civilian obstacle, his reaction was the same; to threaten their lives with a loaded weapon. The incident happened on the day of ‘blue flu’ unofficial garda strike action on Friday 1 May 1998. The men who carried out the raid were armed but they did not discharge their weapons. A Commission of Investigation was proposed as a means of ensuring the State’s compliance with the Convention. It has been twenty years since the shooting, but at the time the inquiry was established some four years ago, Nic Gibb said she hoped the Commission would shine some light on what happened that afternoon in 1998. Gearty criticised garda management of the incident and found that it did not take a professional approach when investigating the circumstances of MacLochlainn’s death. The commission also found gardaí from the National Surveillance Unit who were present on the day were never identified and interviewed. The Commission heard that MacLochlainn pointed his gun at gardaí as he ran towards the car, resulting in a garda discharging his weapon. However, MacLochlainn made it to the vehicle unharmed. A second garda said MacLochlainn pointed his gun out of the window when he had gained access to the car. That garda discharged his weapon twice, hitting the rear of the car. A third garda, who was approaching MacLochlainn in a car, saw McLochlainn pointing a gun at his garda colleague. The garda held his weapon outside his car window and opened fire as the vehicle was moving towards MacLochlainn. MacLochlainn was shot in the chest. He was subsequently removed from the vehicle and handcuffed. The commission’s report concluded that An Garda Síochana should have adopted and practised more rigorous training for its senior management which would have encouraged recognition by its members of the need for accountability and real independence in an investigation. Email “Commission finds shooting of Real IRA man during armed robbery was 'justified'”. Feedback on “Commission finds shooting of Real IRA man during armed robbery was 'justified'”.